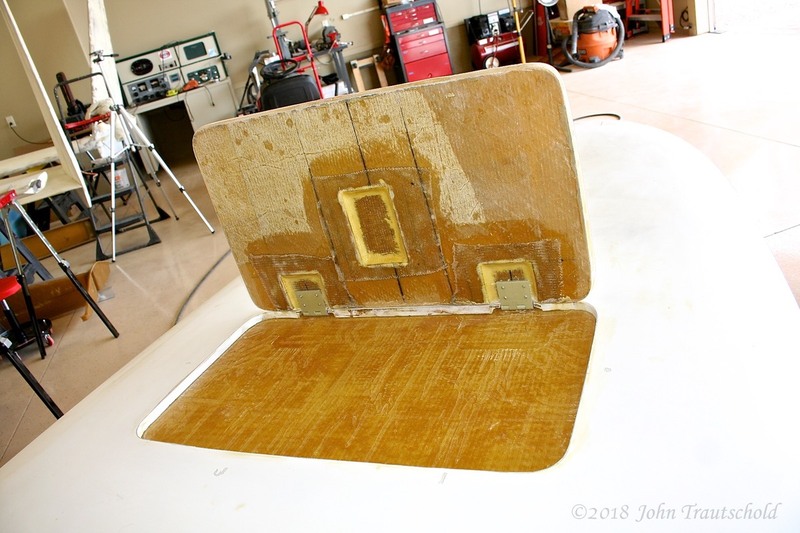 In order to work on the speed brake, the lower fuselage needs to be flipped upside down. I wish I had know that before I installed the bulkheads in Chapter 4 since it would have been much easier to flip it without the extra weight. Nevertheless, it wasn’t too hard to do. Why does this aircraft have a speed brake? Well, most airplane have flaps - the Velocity does not. 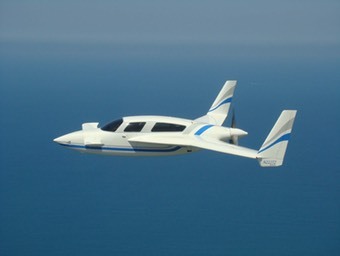 The speed brake is used in lieu of flaps to help slow it down after landing. Here’s the lower fuselage section flipped upside down. Luckily everything cleared while using my roll around fuselage carriage! The cut for this needs to be very accurate since the cut out part actually become the speed brake! I started by plunge cutting a few areas using my Dremel Multi-Max tool. (I’ve said it before and I’ll say it again - the Multi-Max is one of my favorite power tools!) Once I had a few of the plunge cuts done I got out my nifty Makita saber saw and used it to finish the cut. And how did I keep the cut out part from breaking off and slamming to the floor? This photo doesn’t show it since I’d already removed them, but I hot glued a few tongue depressor sticks between the fuselage and the center piece to hold that center piece into place. I could then easily remove that piece using those same sticks. 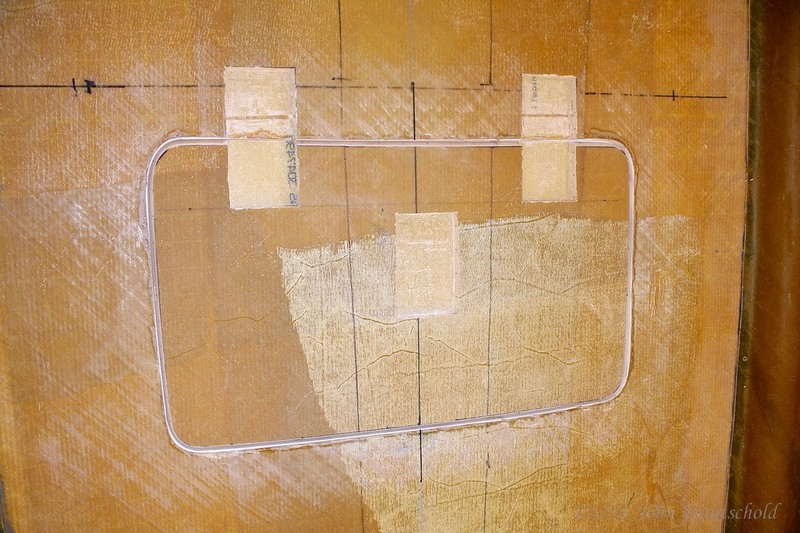 This photo also shows the cutout for the landing light. See section 4.2.9 for information on that assembly. While I had the lower section upside down I took the opportunity to clean up the opening and prep it for later installation of the landing light holder assembly. Finally, you can see another marked hole towards the front left side. I couldn’t find out what that is for in the manual so I called the factory. Chad said it would be used later for the engine oil cooler assembly. He also recommended that I don’t cut it yet since every engine’s oil cooler is different. So for now, I’m just ignoring that marked area! 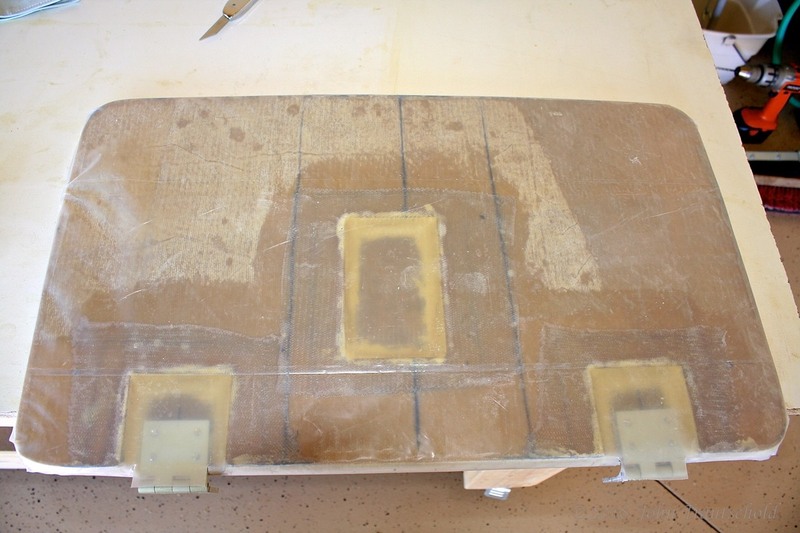 The lower half of the fuselage is flipped over for making these cutouts. Here's a closeup shot of the speed brake open and cutout. At this point the fuselage is back to being rightside up again! 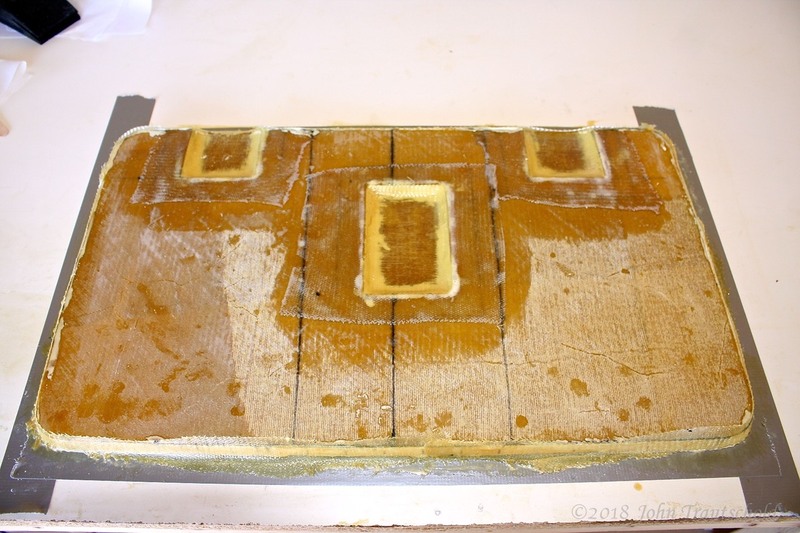 I’ve already added a layer of BID to the perimeter surface of the opening to protect the foam. 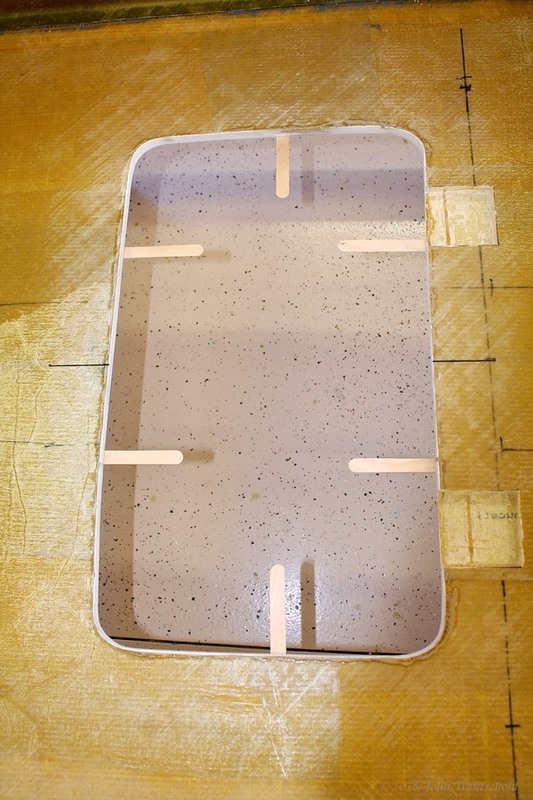 It also has a coat of Veloci-poxy Microballoons to protect the layup and to prepare it for paint. It’s all been sanded nice and smooth. I’ve reattached more sticks to the bottom to hold the speed brake in place temporarily as I continue to do work on the entire assembly. 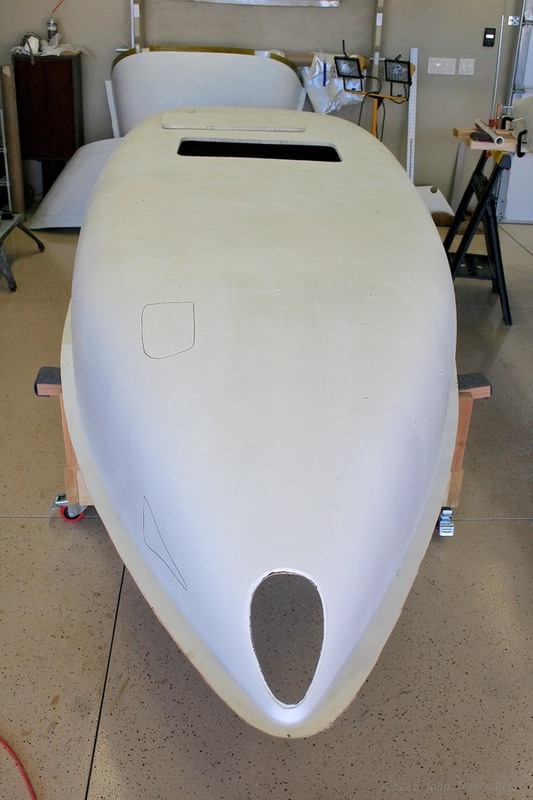 The sticks are hot glued to the bottom of the fuselage to hold the speed brake itself into position during installation. 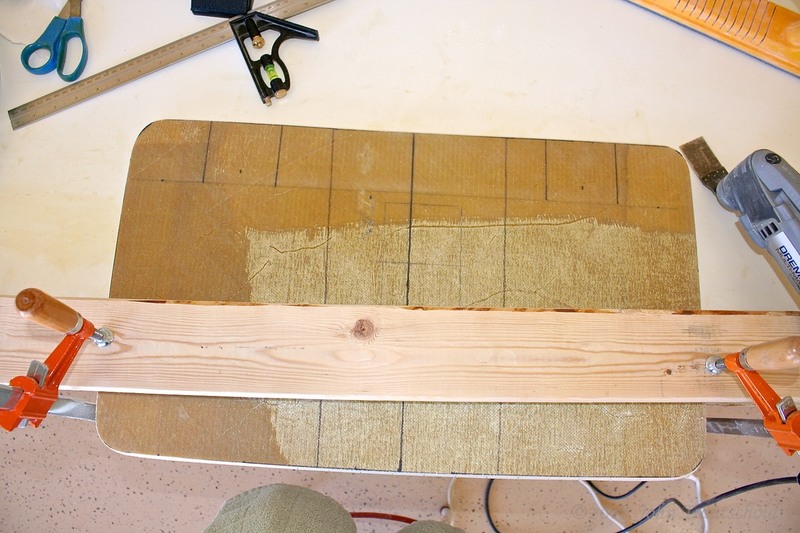 The speed brake panel itself also needs preparation. 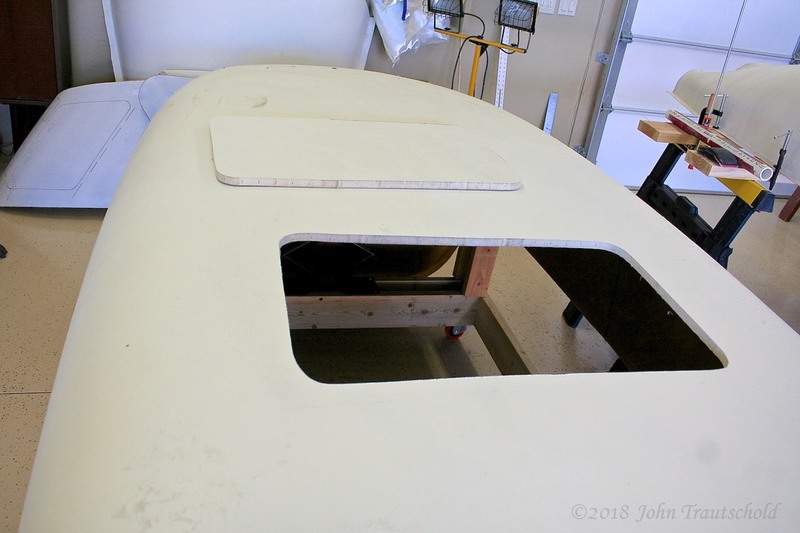 Based on the requirements set forth in the manual, I’ve marked all of the areas where the upper skin and foam need to be removed in preparation for installing the hinges and the speed brake actuator assembly. I used the Multi-Max to cut through the hard fiberglass and the foam, being careful NOT to cut through the fiberglass skin. That would be bad! I'm getting ready to cut open the slots for the speed brake hinges. The cuts are now finished and I’m doing a test fit here to make sure everything is ok. Although it’s hard to see in this photo, the speed brake panel has also been beveled around its perimeter. The manual calls for a 1/8” bevel around the two short sides and the uncut edge, and a 1/4” bevel on the hinge side. It looks like everything fits nicely! 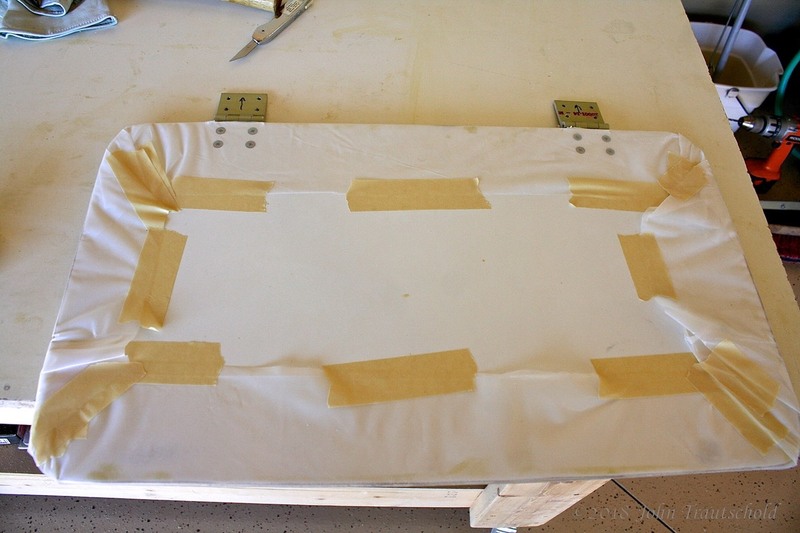 Where the hinges get installed on both the fuselage and the speed brake panel itself, five layers of Triax are epoxied into the slots, followed by Microglass to help ease the edges. 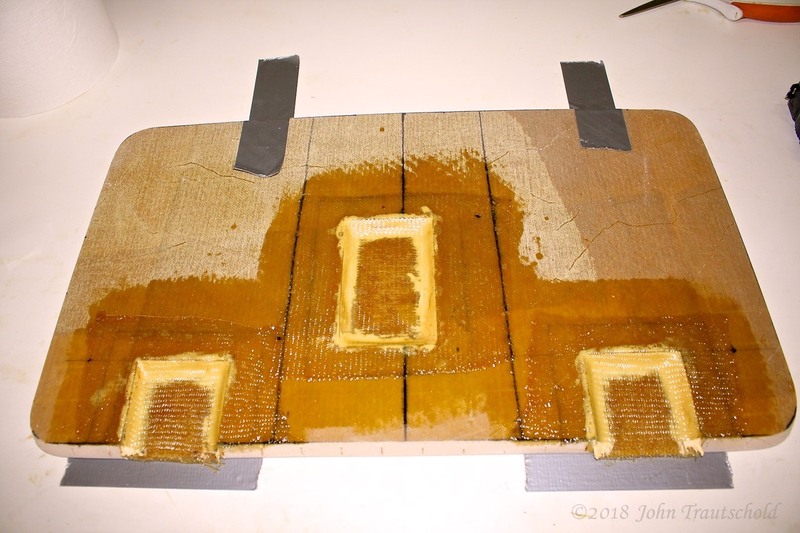 (The Microglass epoxy is the yellower material around the edges of the openings. I made a really thick paste in order to get nicely rounded edges.) Finally, a single layer of BID is applied over everything to help smooth it out and to lock everything into place. I still need to trim the excess fiberglass from the edge. Hinge locations are now prepped for installing the hinges. I did the same thing to the panel itself. 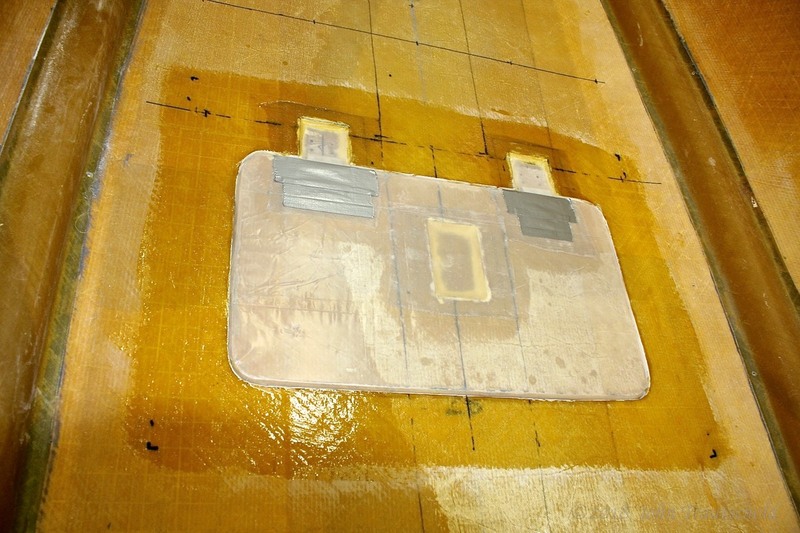 The two hinge openings as well as the actuator attach point in the middle all have their five layers of Triax applied as well as the Microglass and a single layer of BID. I still need to do some trimming on the edge here as well. And here the prep work is finished for both the hinges and for the actuator. I'm laying up just one piece of BID around the perimeter to protect the foam. The hinges are now installed and I need to prep the speed brake before “fixing” the floor. 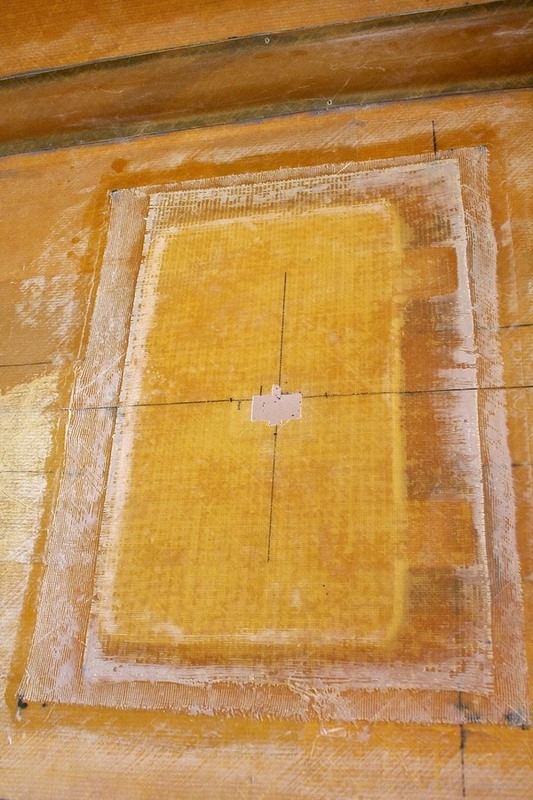 The big hole in the floor from cutting out the speeed brake needs to be patched. 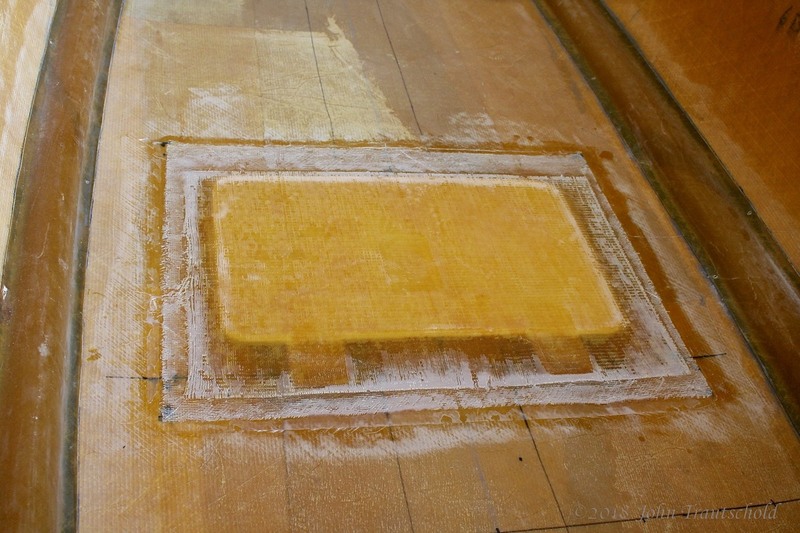 In order to recover the floor, the speed brake gets reinstalled with a plastic wrap to provide support for the new floor without sticking! And here's the flip side of the speed brake with the plastic wrapped around it. The speed brake is used to support the installation of the new floor. The speed brake is reinstalled in the fuselage in preparation for installing that new floor. And here's a view of the new floor from inside the fuselage! The new floor is in, the plastic wrap is removed and everything looks good to go! I know - brand new floor and I'm already cutting holes in it! This hole provides access for the actuator that operates the speed brake. There’s a bit more work to do on the speed brake (like installing the actuator) but we need to leave that for later. If you wish to jump to that section now, click here for Section 6.5.0. 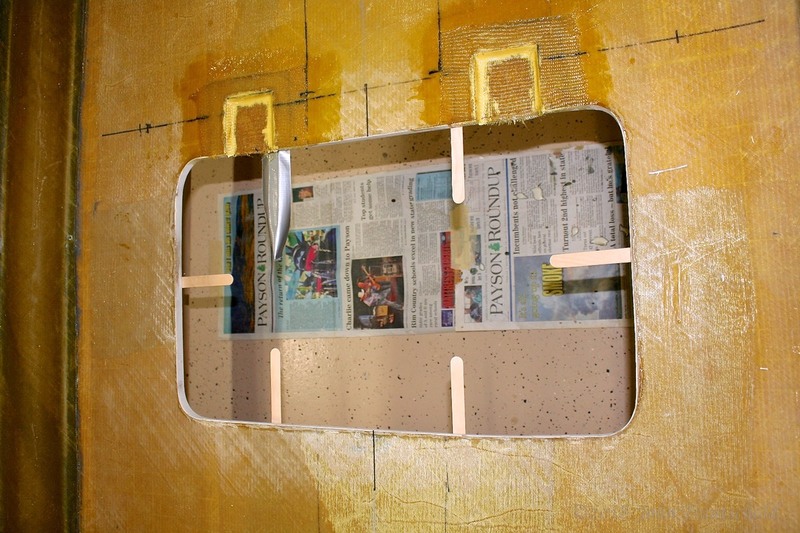 Time to move onto some other fuselage work, like cutting down the keel and building the seats. Click here to see the beginning of that process.